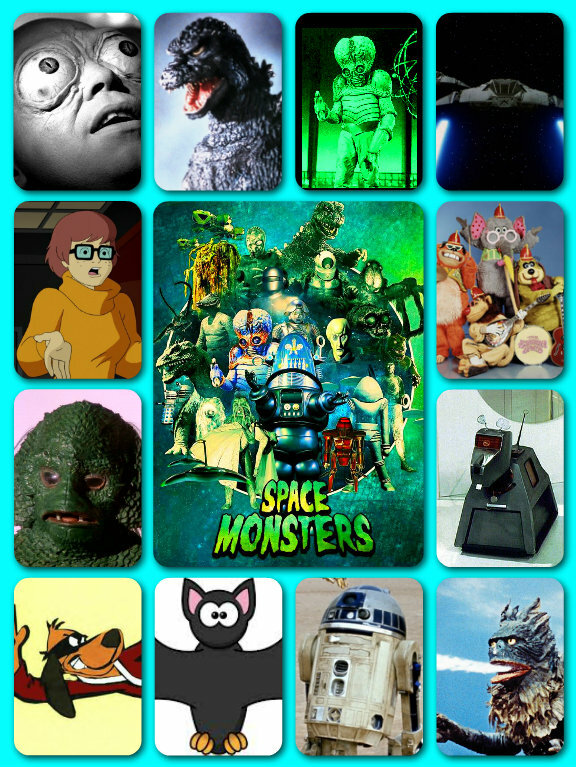 Hey there Space Cadets! 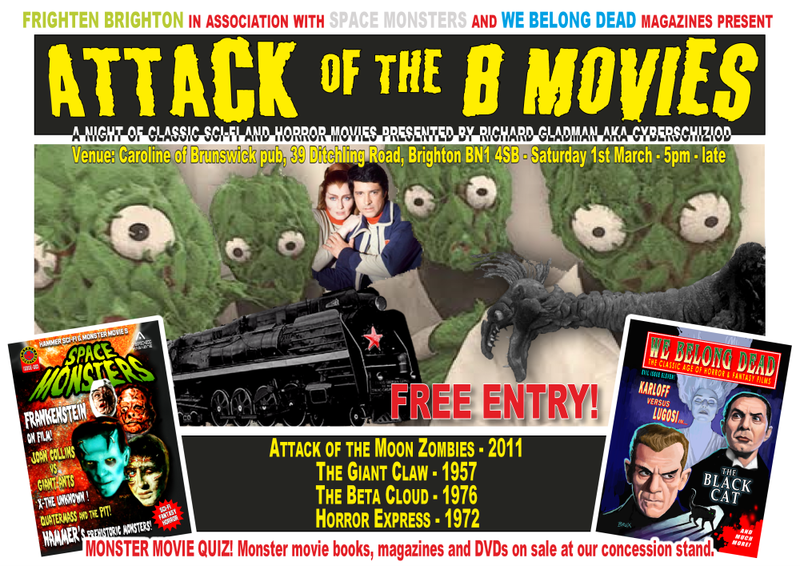 Get ready for a night to remember when Space Monsters, Frighten Brighton and We Belong Dead team up for ATTACK OF THE B-MOVIES! 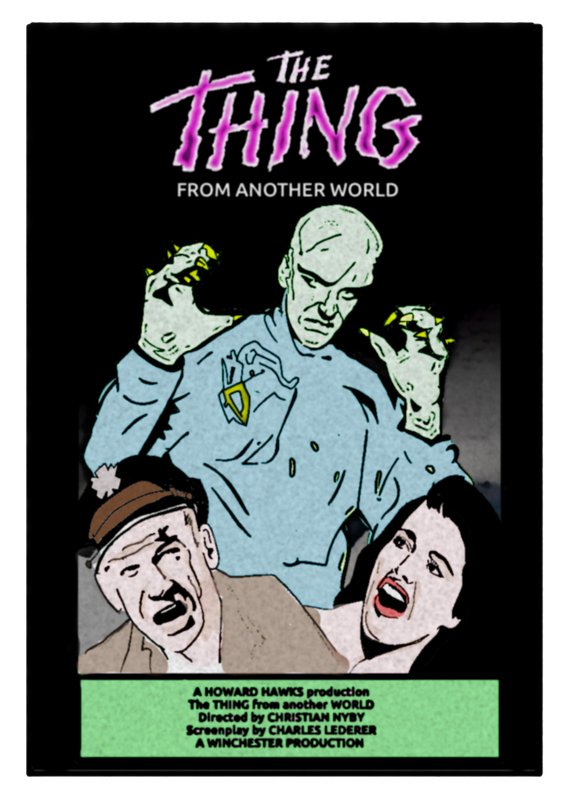 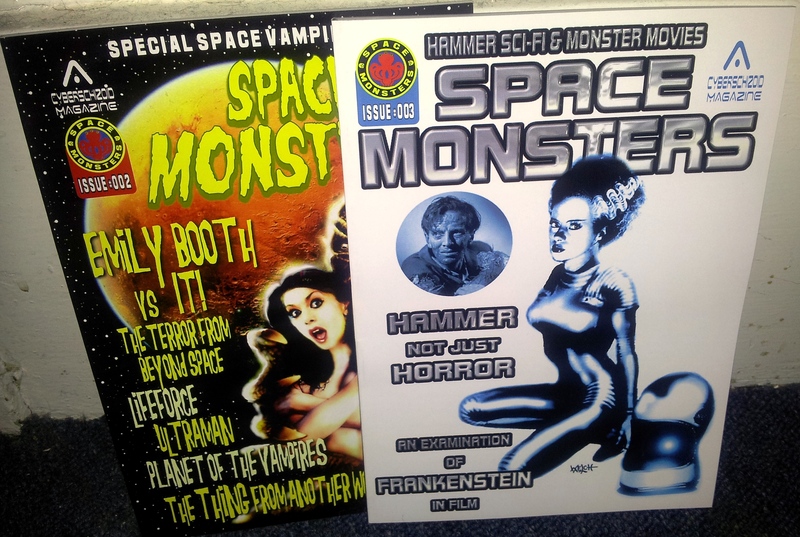 A free evening of trashy sci-fi, monster movies and classic horror films taking place at the Caroline of Brunswick pub (former home of the Brighton Shocks horror movie festival) on Saturday 1st March 2014 and hosted by our very own Cyberschizoid! 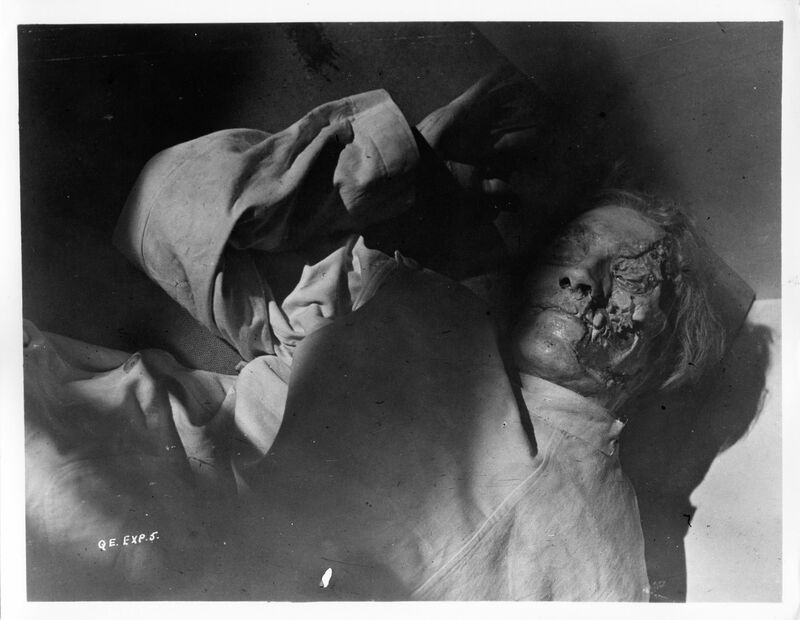 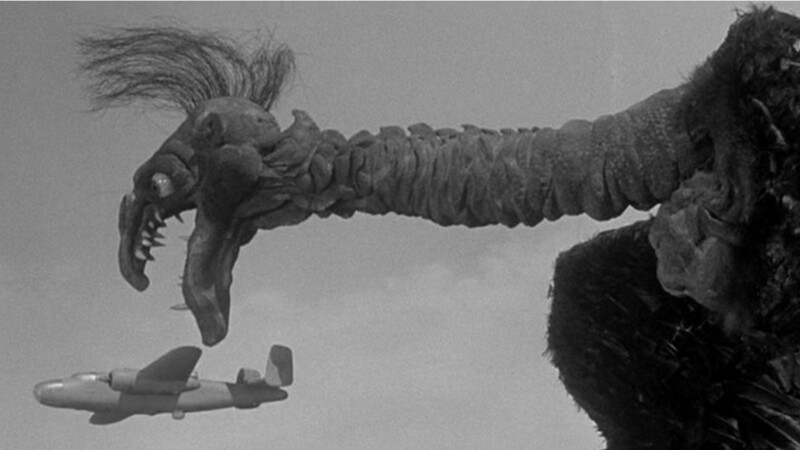 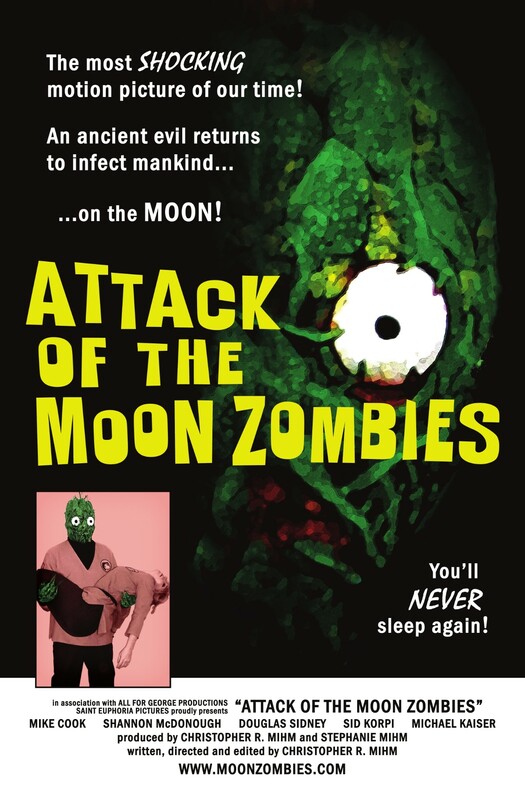 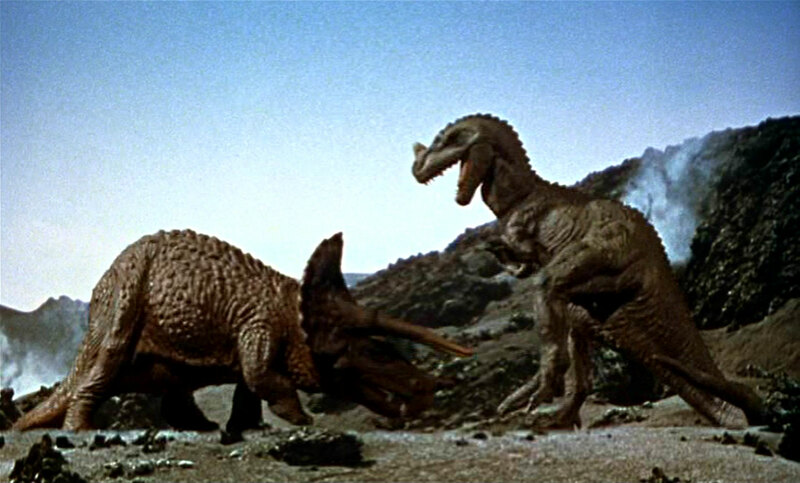 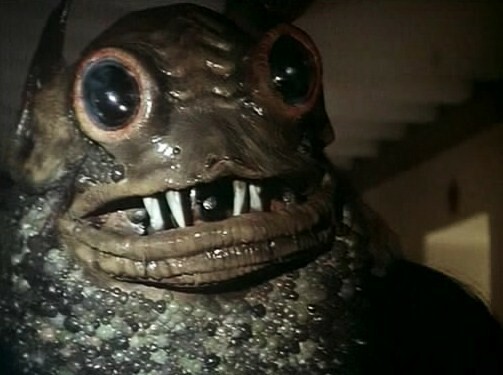 Starting at 5pm, we will be screening the fifties B-movie inspired Attack of the Moon Zombies (2011), The Giant Claw (1957) in which a giant alien turkey goes on the rampage, The Beta Cloud (1976) where the crew of a moon base battle against a seemingly unstoppable monster and sci-fi shocker Horror Express (1972) starring Peter Cushing and Christopher Lee! 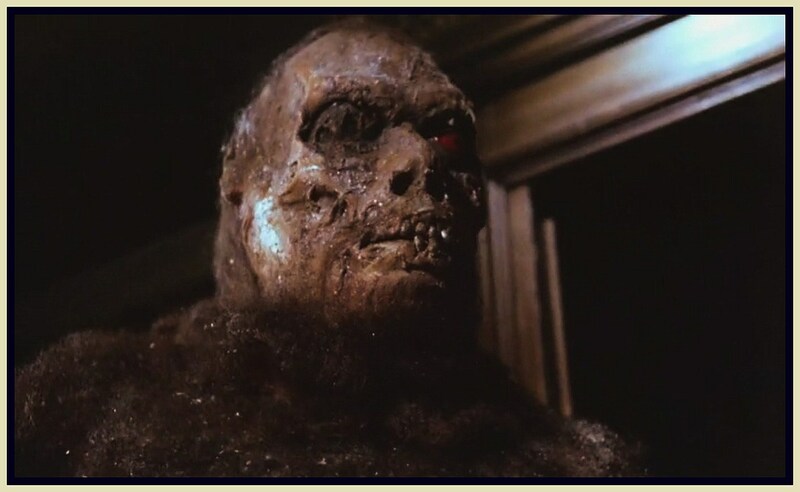 There will also be a monster movie quiz hosted by We Belong Dead editor Eric McNaughton as well as a concession stand selling monster magazines, books, posters, DVDs and more!